Tools in our offer will help you build your model. They are made according to the requirements modelers. Tools are made only from quality material and are adapted for the production of all models. Engraving to emphasize details such as panel lines, or even add custom detail is a popular advanced modeling method. Tamiya makes this advanced modeling technique easy with its line-up of engraving blades. This is a precision tungsten carbide needle for plastic modeling use, offering an exacting finish and superb durability. Use it to engrave new details or emphasize existing ones. Performs excellently in straight lines and curves, and can be used as one would a scriber. Precision tool intended for advanced users. Diamond Files Set (5 pcs). The Set includes files with flat, half cane, mouse tail, triangular and square shapes. File Length: 140 mm. It is a precision side cutting pliers that allows you to cut any kind of part when the modeler is on the model assembling process. It is a three in one tool: wood cutter pliers, plastic cutter pliers and metal cutter pliers. 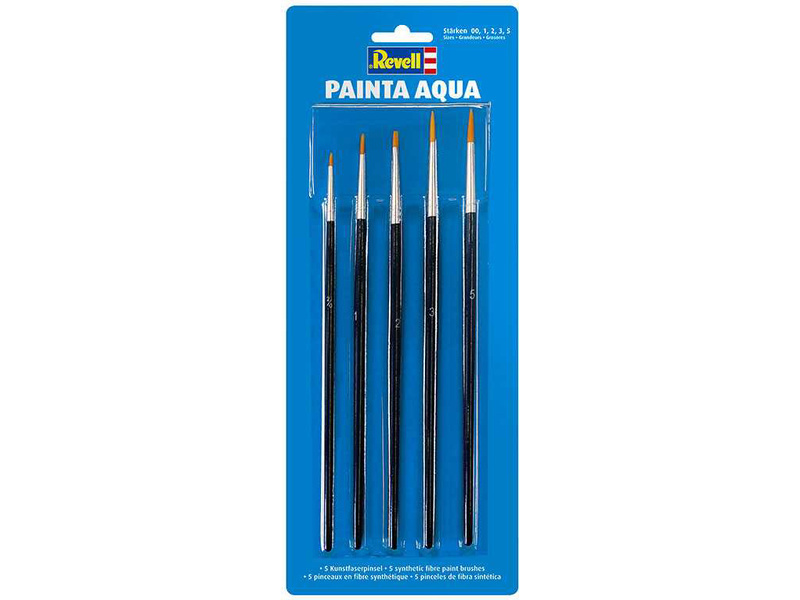 Revell sadaštětců Painta Aqua Set. Balení obsahuje pět štětců různých velikostí. Precizně zpracované vyštipovací kleště pro plastikové modeláře. Kleště slouží k oddělování plastových dílů z vtokových rámečků. Nástroj používejte výhradně pro práci s plastovými materiály. Délka nástroje: 125 mm. Diamond Files Set (3 pcs). The Set includes files with flat, half cane an mouse tail shapes. File Length: 100 mm. Sada čtyř brusných papírů zrnitosti P80, P120, P180 a P240. Rozměry brusného papíru jsou 230×280 mm. Sada třech brusných papírů zrnitosti P1200, P1500, P2000. Rozměry brusného papíru jsou 230×280 mm. Accurate and well-fitting hand tools from TAMIYA is the basis for every modeller. These side cutters are for use cutting materials such as thicker plastic gate on R/C model kit sprues, harder plastic and even softer metals such as brass. Humbrol Tool Set - 1x Side Cutter, 1x Craft Knife, 5x Craft Knife Blades, 1x Tweezers, 1x Flat File, 1x Half Round File, 1x Round File, 1x Mini Snips, 3x Mini Camps, 24x Self Adhesive Grips, 1x 1mm Drill Bit, 1x Swival Pin Drill.